Guests arriving from Athens International Airport by metro will need around 70 minutes to get to the hotel. They should take line 3 towards Egaleo, change at Syntagma station to line 2 towards Agios Antonios and get off at Omonia station, then walk down Pireos street. 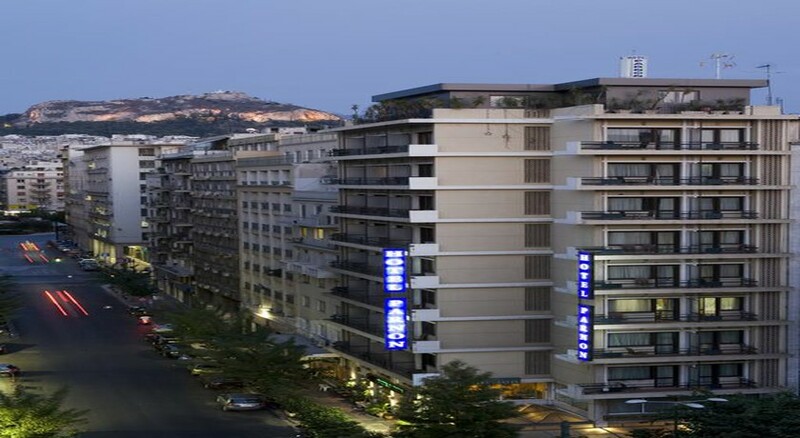 It is also possible to reach the hotel by bus X95, getting out at Syntagma terminal station, then taking metro line 2 towards Agios Antonios and getting off at Omonia station. From the Port of Piraeus, guests can get to the hotel by train. They should take line 1 from Piraeus, get off at Omonia station and then walk along Pireos street. This Athens hotel offers a coffee shop/café, a bar/lounge, and a snack bar/deli. A complimentary breakfast is available. Complimentary wireless Internet access is available in public areas and an Internet point is located on site. Additional amenities include multilingual staff, 24-hour room service, and a safe deposit box at the front desk. This is a smoke-free property. Renovated in 2011, this city design hotel has been carefully and tastefully decorated, offering a pleasant, clean and inviting atmosphere. It comprises a total of 51 rooms over 9 floors. Facilities on offer to guests at this air-conditioned establishment include a lobby area with a 24-hour reception and check-out service, a hotel safe and lift access. There is a cafe, a 24-hour bar and a large breakfast room where a traditional continental breakfast is served. Guests will appreciate the wireless Internet access.